We're excited to be working with Casalinho, a Permaculture Project in Central Portugal, to offer two fully certified Permaculture Design Courses in 2018. On completion you will receive the internationally recognised Certificate in Permaculture Design, accredited by the UK Permaculture Association. Visit the Casalinho webpage and course page for bookings for either course. Courses will be taught over eleven full days, with a free day mid-point. Offering much more than just the standard 72 hour syllabus, you’ll experience a combination of theory and practical sessions with plenty of time for exploration and discussion in a glorious setting. Permaculture is a sustainable design system that provides for human needs while having positive effects on the surrounding environment. It is based on the ethics of earth care, people care and fair share, and provides practical solutions to the global crises we are currently facing. 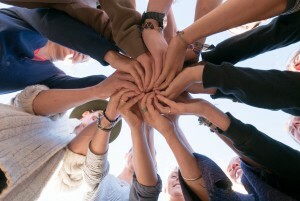 Who is the Permaculture Design Course for? Permaculture is NOT just about trees, or just about gardening! You don’t need loads of land to practice it and it’s a design method that can be applied to all social systems. Whatever your plans for the future, the Permaculture Design Course will give you the perspective and tools required to find positive solutions towards a sustainable life. Lead teacher on the courses will be Michel Thill. Michel is currently based in London where he teaches Permaculture and runs various community and food growing projects through Social Landscapes. 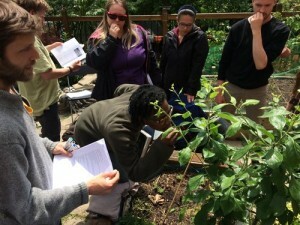 Inspired by Permaculture, Forest Gardening and Ecovillage Design principles, Social Landscapes seeks to create flourishing and resilient micro-cultures within London through transformative Permaculture training and engaging people in outdoors to reinvent the public spaces they live in. 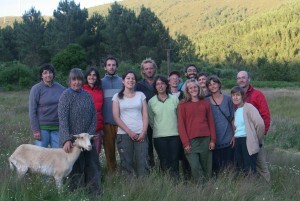 Michel has been teaching Permaculture and Deep Ecology across Europe over the last couple of years. He sees permaculture as a dance with nature, where nature takes the lead to create more harmonious places and futures for all. Andrea and Jeroen are your co-teachers and hosts here at Casalinho. Andrea’s Sustainable Land Use course and PDC with Patrick Whitefield inspired her so much that she insisted Jeroen participate in a PDC too. A course was arranged with Lesley Martin later that same year, and the first PDC taught at Casalinho was born! They’ve been hosting PDCs here at Casalinho since 2011. Andrea met Michel at a Training of Teachers event facilitated by Looby Macnamara, Chris Evans and Tomas Ramiarz in 2017, and the collaboration was born. Andrea and Jeroen are assisted in our projects at Casalinho by the international volunteers that we host, a fabulous opportunity to bring permaculture to a wider audience and expose to new ideas and inspirations. See their website to get a flavour of their projects. We aim to give each student a tool kit of basic skills, making them both competent designers and confident in the implementation process. See the Casalinho webpage and course page for bookings. 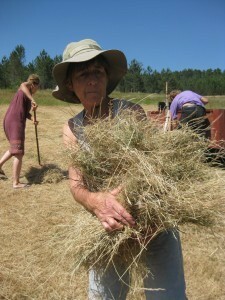 Permaculture course tuition, practical sessions and certificate. Camping space for your own tent. Caravan or dormitory accommodation is available at an additional cost. Use of compost toilet and solar shower. Vegetarian meals. Additional meals available at a small cost if you wish to extend your stay with us following the course, or are joined by a non-participating guest. It is assumed that you will arrive the evening before your course begins, and depart the morning after as this is compatible with local public transport. Places are limited. Contact Casalinho via email to reserve your place and we will provide you with bank transfer details. Or telephone us on (00351) 235512171 or 934542254 (mobile). A minimum deposit of 50% is payable at time of booking for all courses and workshops, with the remaining 50% payable on arrival. When your deposit is received we will acknowledge it by email and confirm your place on the course. Payments cannot be refunded for cancellations by the student less than 10 days before the course commences or once the course has begun. We reserve the right to cancel the course and refund monies paid in the event that insufficient bookings are confirmed or other unforeseen events make it’s running impossible . 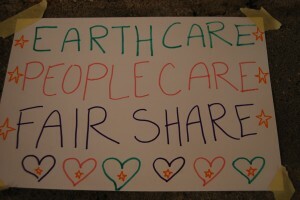 We cannot be held responsible for other costs. PDC class with Lesley Martin & Bonita the goat. Participants have joined us from Portugal, UK, Australia, Philippines, China, Norway, Holland, Italy, Spain, Israel, Brazil, Hungary, Denmark and USA.